Wood comes from trees. Trees can be cut down and replanted or recycled and reused. Timber is extremely versatile, beautiful and one of the oldest and most natural construction materials. Its structural properties result from the microscopic layout of its cells and cell walls. Trees absorb water and nutrients from the soil into the roots and up into the crown. Once water reaches leaves it evaporates, combines with carbon dioxide, catalyzed by chlorophyll and energized by sunlight. Through this process of photosynthesis, trees create sugar. Sap carries sugar down through the inner living bark. The layer in between the wood and bark is called the cambium. The cambium is made up of living cells that use sugar to reproduce. When a cambium cell reproduces it divides into two, one cell stays the same shape and remains in the cambium layer while the other cell shape shifts into a bark or wood cell and eventually dies. Wood is an extremely and provides a living structure that is both strong and flexible. It is commonly used for fuel, construction, art, shelter, and furnishings. A cross section of a tree reveals its growth rings. They multiply faster in the summer due to foliage and nutrients causing a lighter, less dense wood and then slower during the winter with a more dense, darker wood. Each ring represents one year of a tree’s life. Wood is one of the most environmentally friendly materials available. It is renewable, biodegradable, non-toxic, energy efficient and greenhouse gas friendly. The trunk of a tree is the main source of wood. When it is large enough for solid or veneer cuts it is also called the bole. Felling is a term used to describe the process from cutting down the tree to their arrival at a sawmill or lumber yard. From the moment a tree is cut down up until the moment it is used it is referred to as lumber. 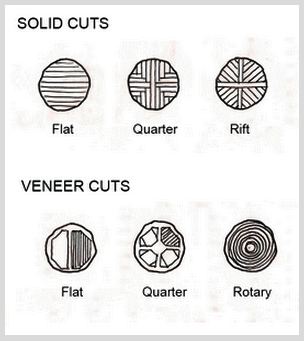 Use the links provided to research the methods of sawing the bole into solid cuts vs. veneer cuts. In your journal draw the cross sections of solid cuts and veneer cuts and label them. Make a list of 5 things that are made from veneer lumber and 5 things made of solid lumber. Then provide one advantage and one disadvantage for both veneer lumber and solid lumber. 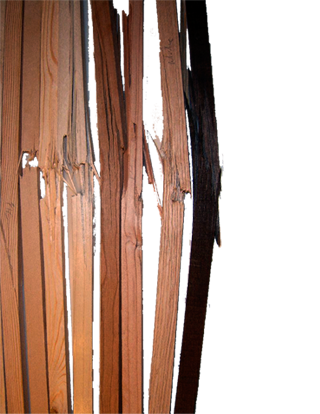 The density of wood varies from one species to another; hardwoods are not always harder than softwoods. The term softwood refers to conifers, which are cone-bearing seed plants with needles. 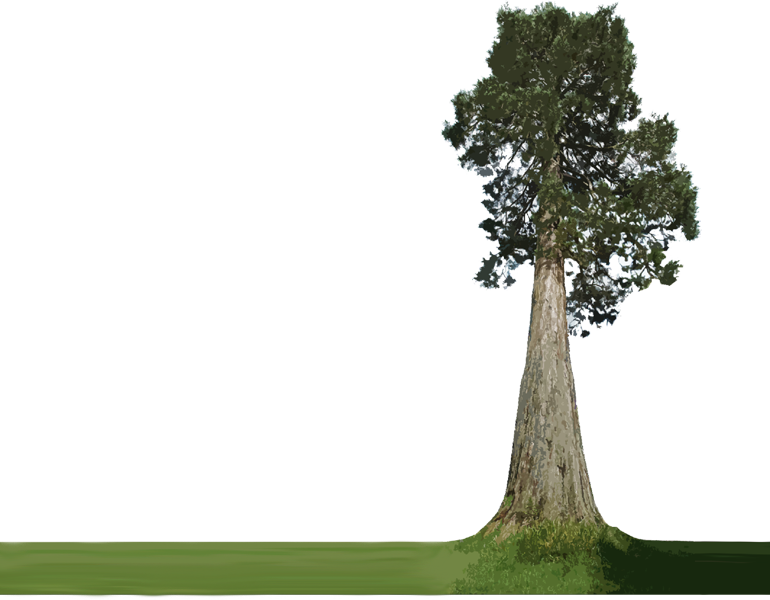 Conifers thrive in cooler climates as they are generally tall slender trees with downward-drooping limbs that help shed snow. The cell structure of coniferous trees is composed of tracheids. Tracheids are 100 times longer than they are in diameter ranging between 2mm to 6mm in length. There are about 4 million tracheids in one cubic inch of wood. These long, tightly bundled fibers result in a non-porous wood. Hardwoods are deciduous plants meaning they lose all or some of their leaves for part of the year. The cell structure of hardwoods contains vessel elements not found in softwoods. Vessel elements are much larger in diameter with very thin walls creating a porous wood. Using the terminology above describe the tree to the right. Is it hardwood or softwood, coniferous or deciduous, tracheids or vessel elements, porous or nonporous? Provide examples of possible tree species and common uses of this tree’s lumber (hint: tracheids make good paper). One of the beauties of wood is the pattern of the years of growth that somehow embed a connection with time and nature in our everyday lives. Wood is a living breathing material that ages and weathers over time. Think of living with wood and living with plants! Heavy Timber construction uses whole tree trunks. Balloon Frame construction uses smaller, lighter sizes of wood that have been planed and dried. Planed wood comes in nominal sizes like 1" x 4", 2 x 4", 2" x 12" etc. The planed wood is actually slightly smaller than the nominal name. Veneer is thin slices of wood, less than 1/8" that are glued to lesser quality wood cores or frames. Draw and label an example of heavy timber and balloon frame construction. 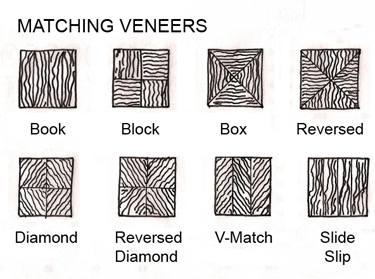 Then draw these different veneer patterns in your journal. Use your digital camera to record other patterns. Cabinet makers, architects, interior architects, furniture designers and other craftspeople consider the color and grain and hardness of wood as they choose material. Today we also also consciously choose renewable wood types. Investigate the beauty of wood. See how many different kinds of wood you can find in your home and in your school. 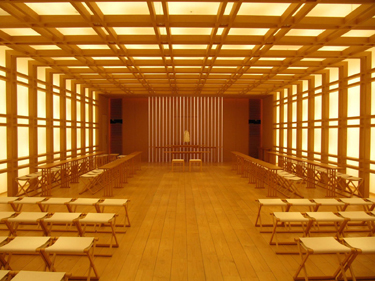 Using the resources below, look online for examples of architecture made of wood, of rooms constructed of wood, and of objects made out of wood. 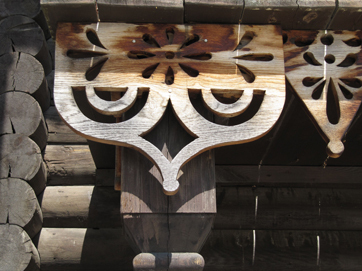 Begin to collect images of wood designs. Notice how the wood is joined, what colors it is, and how it defines form, space and experience. Looking at the grain and color, determine what type of wood it is. Collect images that inspire you in your journal. In the past century fossil fuels have replaced wood as a source of heat and power. Composite products such as plywood, particle board, and fiberboard have decreased the use of solid wood. Plastics, metals, and other synthetic materials have been invented, however, these substitutes are non-renewable and pollute the environment. Today we are consuming about the same volume of wood annually at an equal volume of growth though in the next quarter century our consumption is expected to double! Forest management will play a vital role in an attempt to sustain our forest. Look at this forest management cycle and copy it in your journal. What role can you play to help manage a forest? Hardwoods are always softer than soft woods? What are the environmental benefits of lumber? 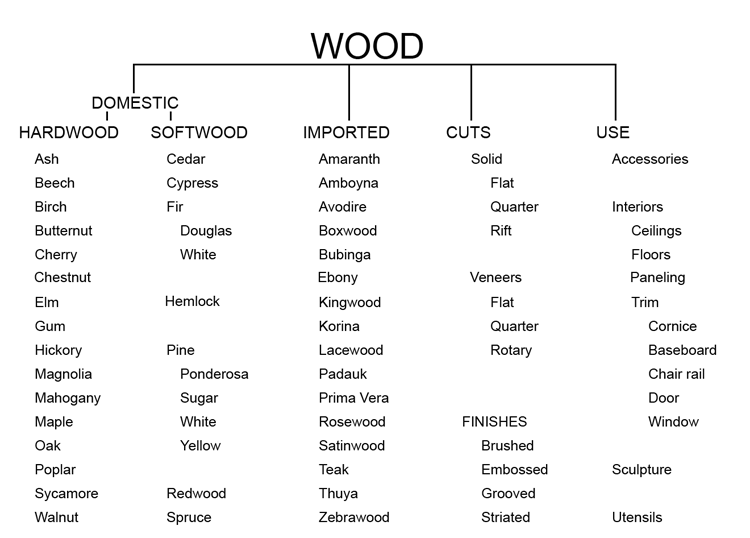 Pine and Spruce are examples of hardwood or softwoods? What is the actual size vs. the nominal size of a 2" x 4" piece of lumber? Wood What are the most common types?